For the math general education requirement, I took CMSC 121, or Intro to Computer Science, with Dr. Blaheta. I learned so much in this class and it is one of my favorite courses I’ve taken at Longwood so far. My section of the class was small and full of enthusiasm. Class participation was high and we had a fantastic time while still learning a lot. Before this class, I knew the basic parts of a computer, but that was about it. Now, I know how to use and understand binary, how information is stored in a computer, how to build circuits to represent functions, and the basics of programming and algorithm instruction. 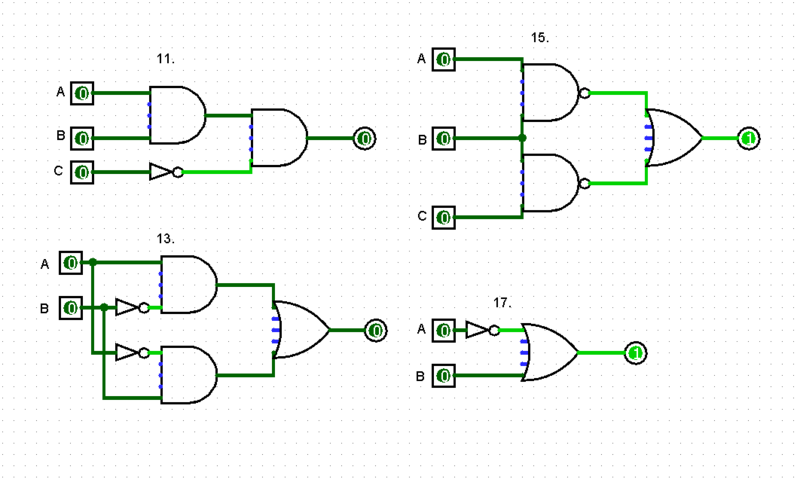 I’ve attached an image of some homework on constructing logic gates. 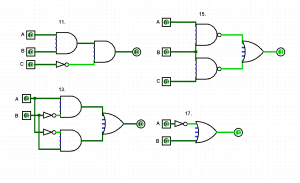 I would have had zero clue what I was looking at in this picture before taking this class, but now I can build and interpret basic computer circuit diagrams. This class really expanded my knowledge of computers, my analytical thought process, and my problem-solving skills.